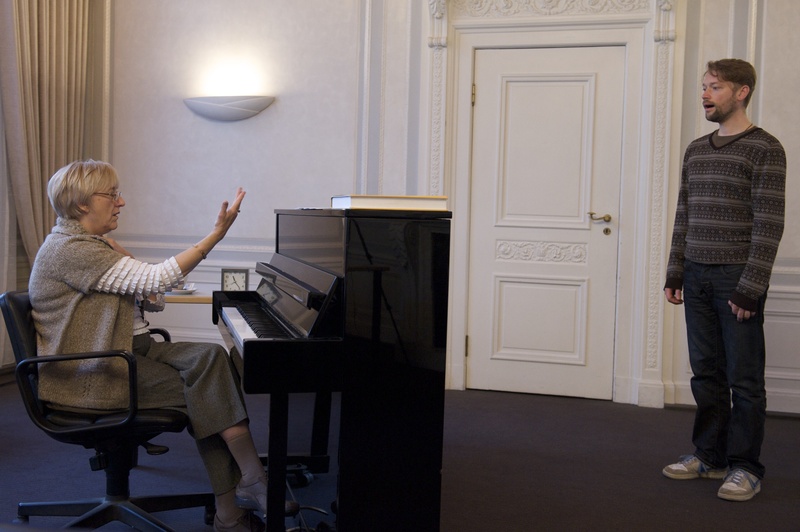 Since 1977 Canadian voice teacher, Carol Baggott-Forte has taught singing based on vocal health and laryngeal function to many of Canada’s finest classical and music theatre singers. Her rational method of instruction is rooted in organic natural responses innate to all voices based on the vocal pedagogy of Cornelius L. Reid. She has expanded her teaching by invitation to include master class workshops in France; Paris & Lyon. Germany: Frankfurt, Duisburg, Berlin, Essen-Werden, Bremen, Düsseldorf, Iserlohn, Hannover, Wiesbaden as well as the UK. A member of NATS (National Association of Teachers of Singing), she has served on the voice faculty of the Royal Conservatory of Music in Toronto, taught at the Shaw Festival and the Stratford Festival (Canada’s most prestigious theatres). She has also presented workshops for the Ontario Music Educators’ Association. Ms. Baggott-Forte has helped build the solo voices of artists who sing with major Opera Companies and Symphony Orchestras in Canada, the USA (Carnegie Hall), and UK (English National, Glyndebourne), as well as Western Europe. She has worked with singers who record for the international recording labels Warner, EMI and Naxos. Her pupils include solo artists with internationally recognized organizations such as Tafelmusik, Elmer Isler Singers, Toronto Consort, Bell’ Arte Singers, and Opera Atelier. Many of her pupils have earned distinctive awards and scholarships from international artistic centres: Tanglewood Festival, Peter Pears School, London Opera Centre, Aldeburgh Festival, Banff School of Fine Arts, Aldstadt Hersbst Wettbewerb für Junge Kultur in Dusseldorf, Ravinia Festival, Joy of Singing Competition NYC, Ontario and Canada Arts Councils and major North American Universities. In music theatre her pupils have performed roles with leading international production companies such as LIVE-ENT (Cats, Phantom, Show Boat, and Ragtime in Canada, the UK, Germany and on Broadway), Mirvish Productions (Les Miserables, Crazy for You, Beauty and the Beast, Miss Saigon, Hairspray, Man of La Mancha), Stratford Festival, Shaw Festival, and Charlottetown Festival; U.S.A. – Broadway companies of Miss Saigon, Kiss of the Spider Woman, A Chorus Line, Bombay Dreams. Among them are two Tony Award recipients. Born in 1945, Ms. Baggott-Forte holds a BA in Music Education and Vocal Performance. She studied advanced vocal technique and repertoire at the Bryn Mawr Conservatory, Philadelphia, Pa. and is a 1973 graduate from the University of Toronto Opera School where she pursued lessons with Metropolitan Opera Baritone, Louis Quilico. Honours include Metropolitan Opera Regional Semi-Finalist, Merola Program semi-finalist. She is the recipient of grants and scholarships reserved for notable Canadian artists. She studied advanced vocal pedagogy in New York with world-renown teacher/author, Cornelius Reid and has been a proponent of his voice training methods since 1977. She is the author of the essay “Could Maria Callas’ Voice Have Been Saved?”published by Scarecrow Press in The Modern Singing Master: Essays in Honor of Cornelius Reid.